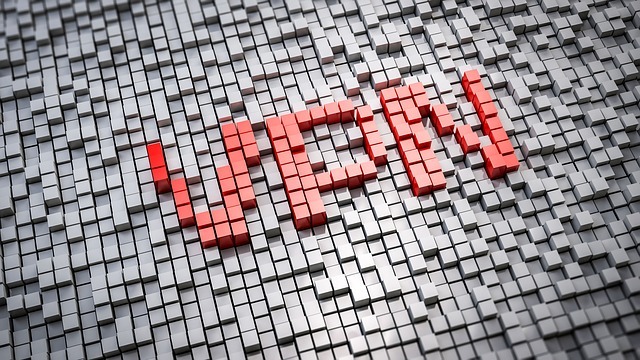 The main purpose of a VPN connection is to ensure your online privacy and security, so that you can completely secure your online activity without being worried about any third parties that might monitor your online behaviors. The private connection works by encrypting your regular internet connection, hiding your real IP address completely from any third parties, including the government, your ISP, the websites that you visit, and hackers. However, among the possible third parties that might want to monitor your online activity, hackers are the ones who you should be cautious about. Not all security protocols have the same encryption quality, and the bad news is that, many VPN services out there are still using a weak security protocol as their primary protection system. This can be harmful to the users, as there are already some cases proving that using a weak security protocol can really put the users at risk. If your VPN is still using a weak security protocol, such as PPTP, and there is no way for you to switch to another security protocol, then even though your connection is encrypted with a private network, it will still be vulnerable to hacker attacks. Once the hackers found the weakness in your security protocol, they will use it as their entry point to penetrate your network further. Not only server problems are frustrating, it also can give a big security vulnerability for your system. When you connect to a private server, and the server in question has a problem, then your connection cannot be as private as you would expect. Server problems can range from a slow connection speed, server downtime, inability to connect to the server, and so on. It will automatically disrupt your private or secure connection, leaving your network connection vulnerable to hacker attacks. The VPN service provider that doesn’t take the user’s security and privacy seriously will usually ignore any problem that the users are experiencing. Moreover, this type of service is usually unreliable, and they cannot give the users the guaranteed online protection and privacy that they need. Almost all free VPN services are like this, especially with the services that you can use for your mobile device. This is why you have to be aware of the security risks that are imposed by these unreliable VPN service providers, since it can attract the attention of hackers to penetrate your system. Many VPN service providers are still using a single layer protection to protect their users online. This single layer protection works by concealing the user’s real IP address, and displaying the IP address of the private server to the public. However, there are no additional layers of protection that are provided by the VPN service provider, which makes it very vulnerable to hacker attacks simply because once the single protection layer is removed, the users are exposing their real IP address to the hackers, and it’s very easy for the hackers to break further into the system once this single layer protection is gone. This is why it’s important for you to choose the VPN that offers multiple layers of protection, which makes it impossible for hackers to trace your real IP address. The problem with free VPN services out there is that they only offer the basic encryption system, which is the type of encryption that hackers can easily break. Some cheap VPN services are using the same basic encryption system as their standard security protection for their users, which can put their users at risk. It is always better to pick the VPN service that provides at least 256-bit of encryption or the military-grade encryption system to ensure that your network is impenetrable. Hackers cannot penetrate the private connection that has the military-grade encryption system on it. Those are the 5 things that make your VPN connection vulnerable to hacker attacks. It is your responsibility to keep your internet connection secure, so that you can protect your important information online. For this purpose, it is better for you to double check your VPN service and ensure that they are providing you with enough protection system that is hacker-proof, so that you can use their service with peace of mind for a long time.